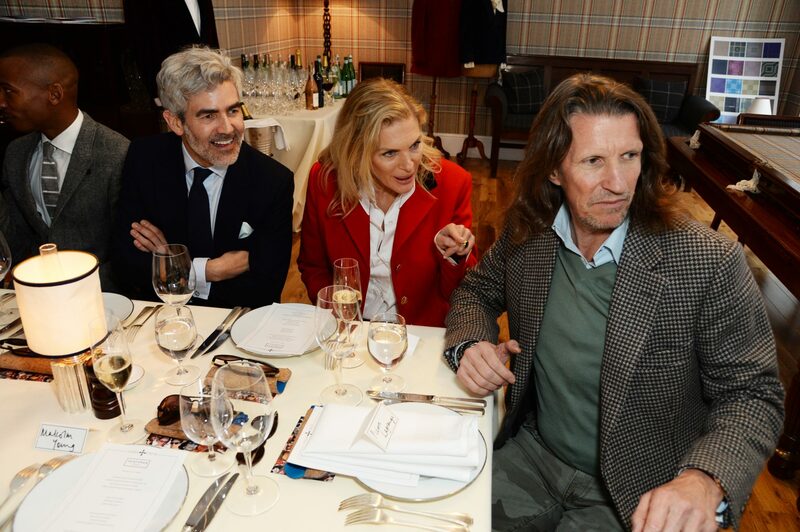 An illustrious crowd gathered at Huntsman’s Clubhouse Monday afternoon, to judge the house’s 2017 “Design Your Own Tweed” competition. 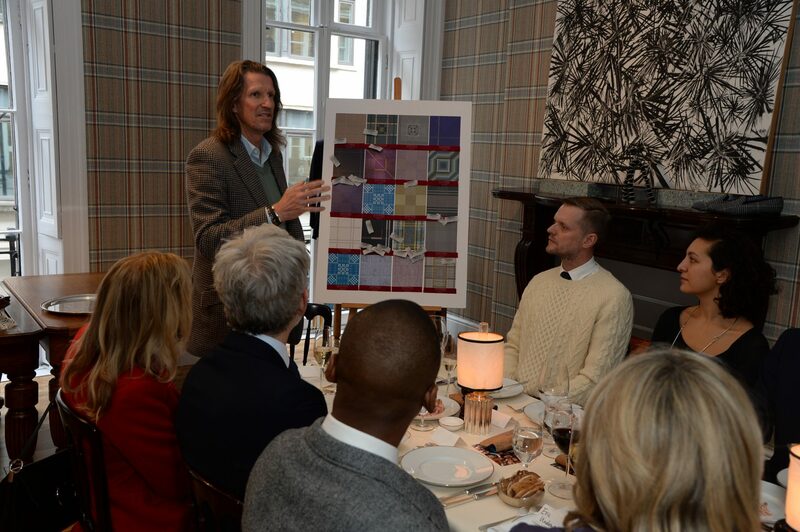 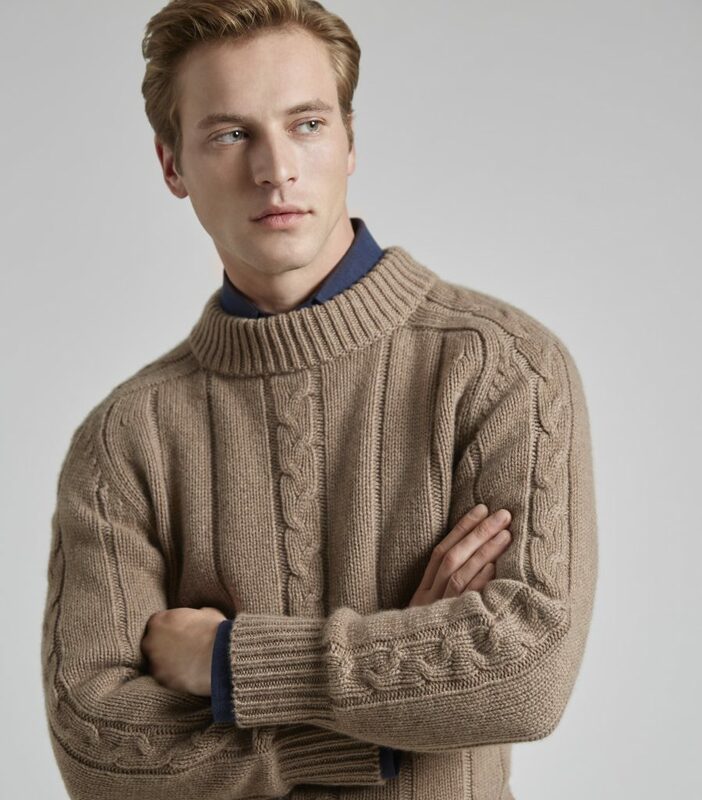 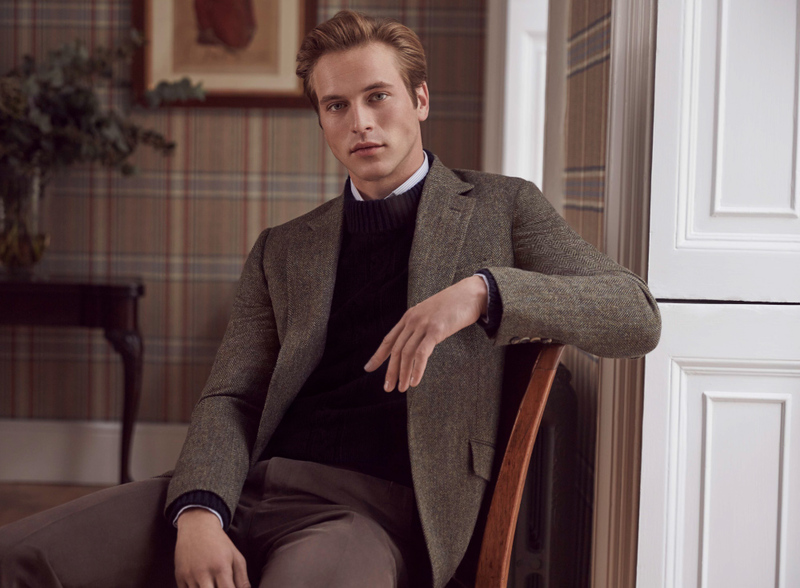 Sartorial authorities – among whom were Huntsman chairman Pierre Lagrange, editor of Country Life Mark Hedges, artist Marc Quinn, television personality and author June Sarpong, and ballet dancer Eric Underwood – convened to pick their favourite tweed from a shortlist of 20 submitted for the competition on Instagram. 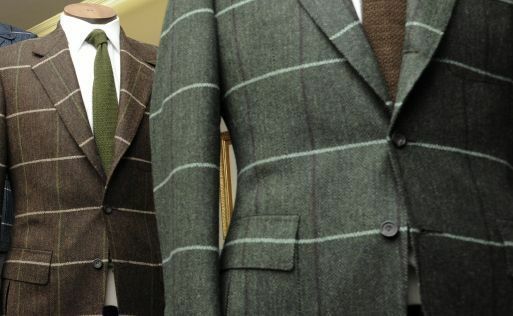 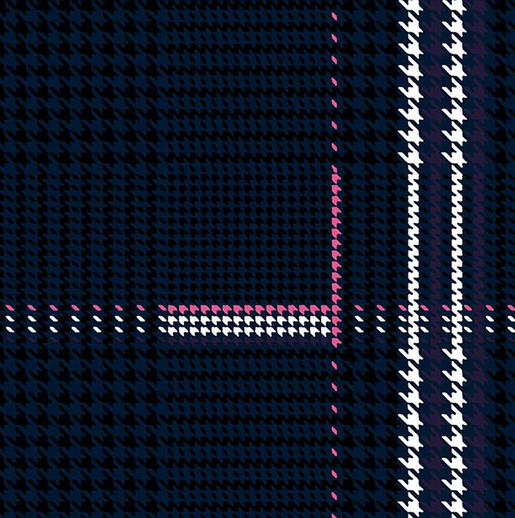 Those tweeds had been whittled down from over 200 entries received since the competition launched in December, with 3,000 voting on Instagram for their favourite design. 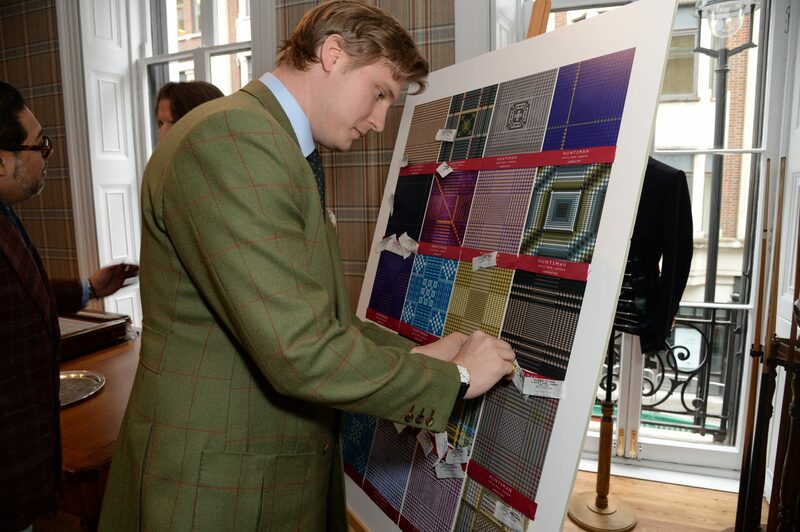 As Dawney’s prize, he will have his concept transformed into a fabric design together with Huntsman’s creative director Campbell Carey. 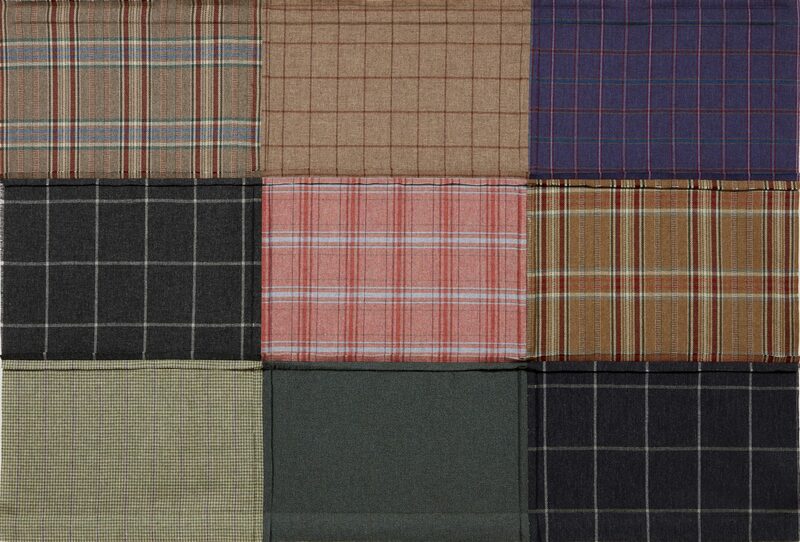 The tweed will then be made into a bolt of fabric at the Islay Woollen Mill, situated on the picturesque Isle of Islay in Scotland’s Inner Hebrides, with Dawney invited to see the weaving process on the mill’s Victorian looms. 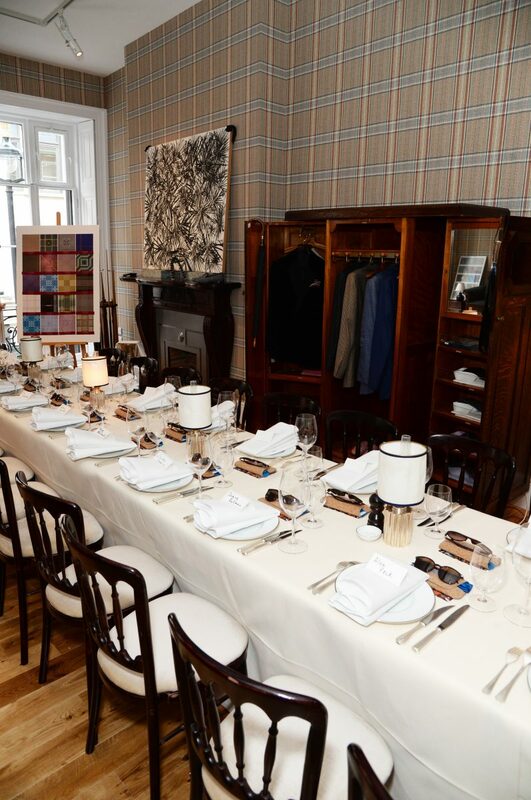 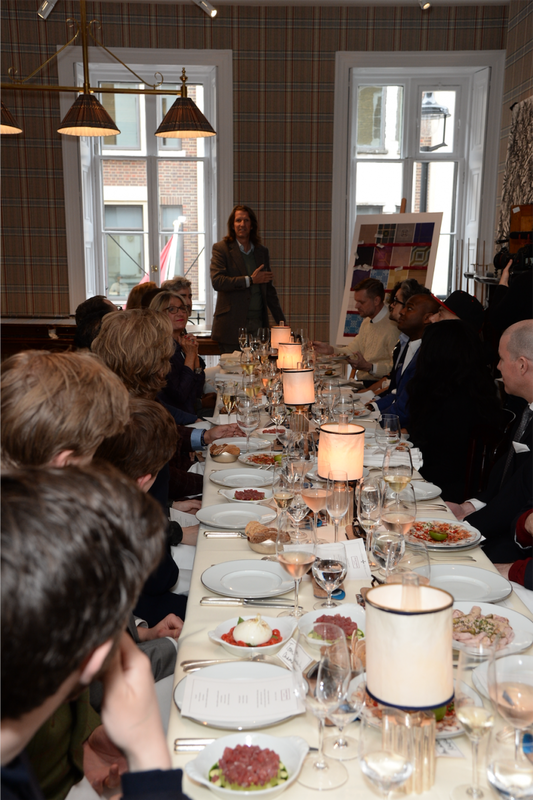 With Monday’s judging concluded, guests sat down to a spring menu created by Notting Hill restaurant Casa Cruz, renowned for its Argentinian influences. 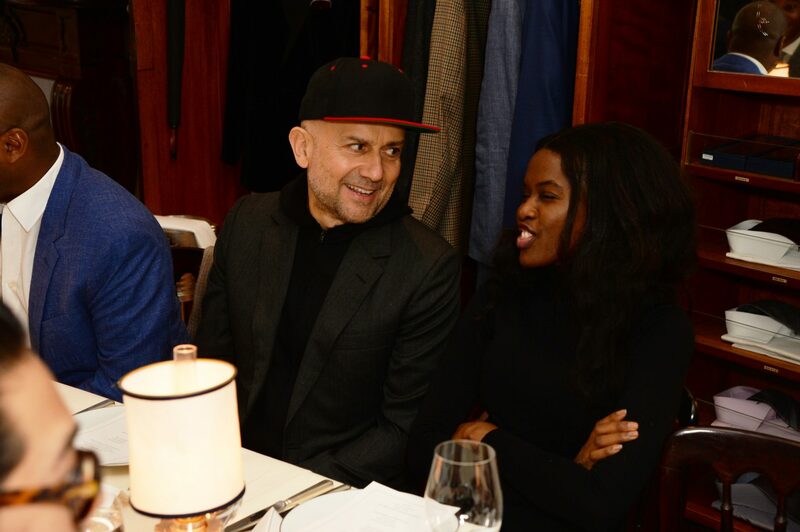 After starters of burrata and roasted tomatoes and octopus carpaccio, guests were served grilled fillet steak, seabass, and roasted vegetables. 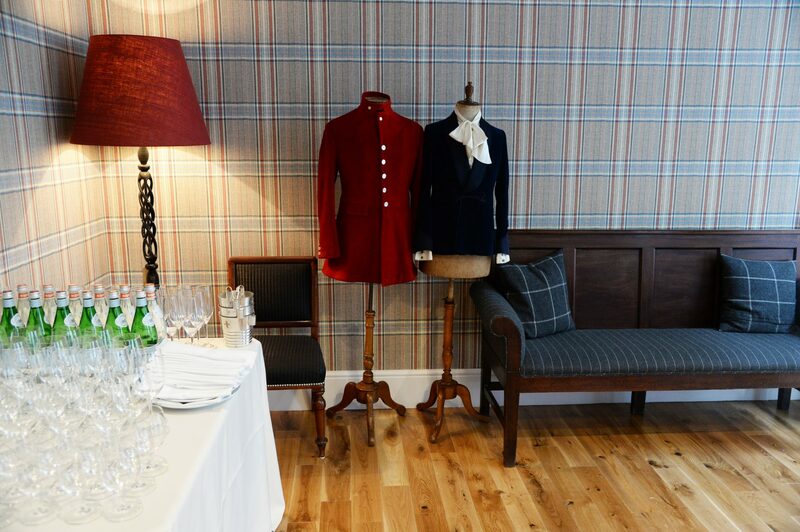 And the tweed theme continued, with the walls of Huntsman’s Clubhouse papered in a tweed wallpaper, based on an archive fabric that Huntsman had designed for Gregory Peck. 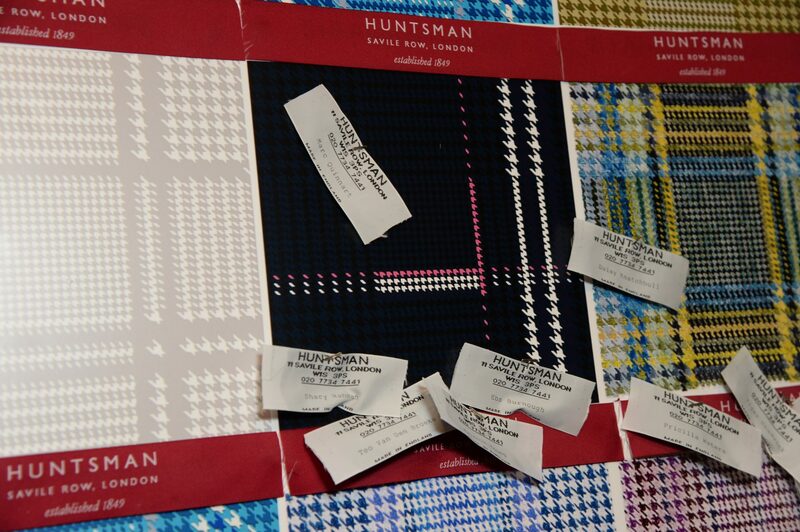 Even the window of Huntsman’s Savile Row headquarters trumpeted the fabric, as artist Tiger Chadwick had created a flag fashioned from a patchwork of the house’s tweeds to dress the window. 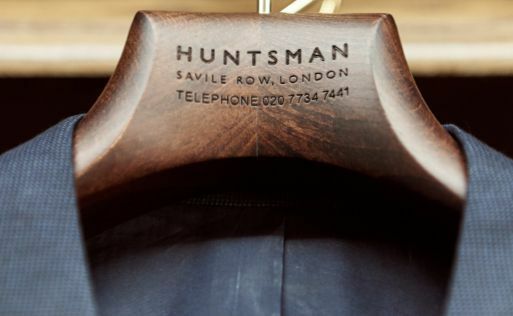 Indeed, bespoke tweeds are a signature of Huntsman, with the house offering clients the chance to create their own design. 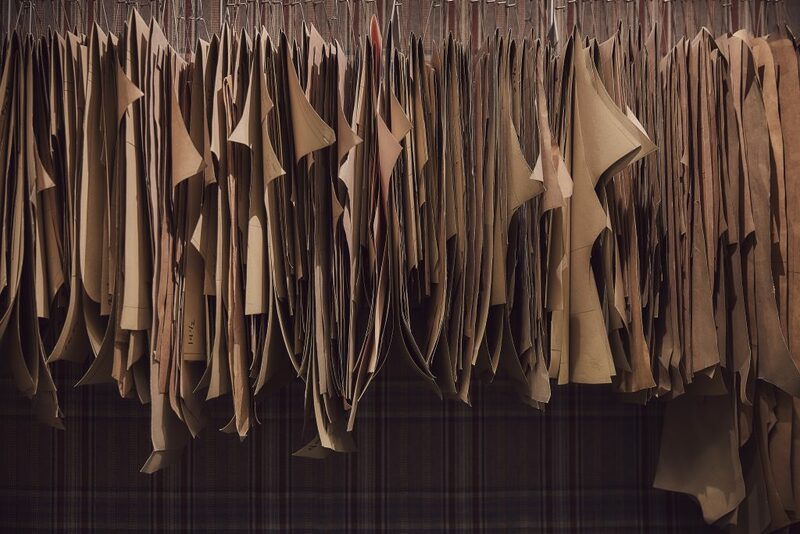 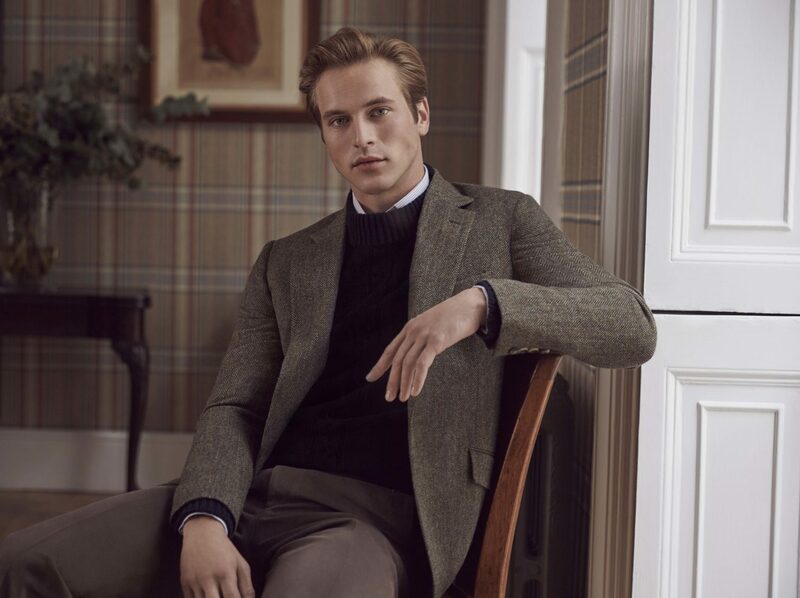 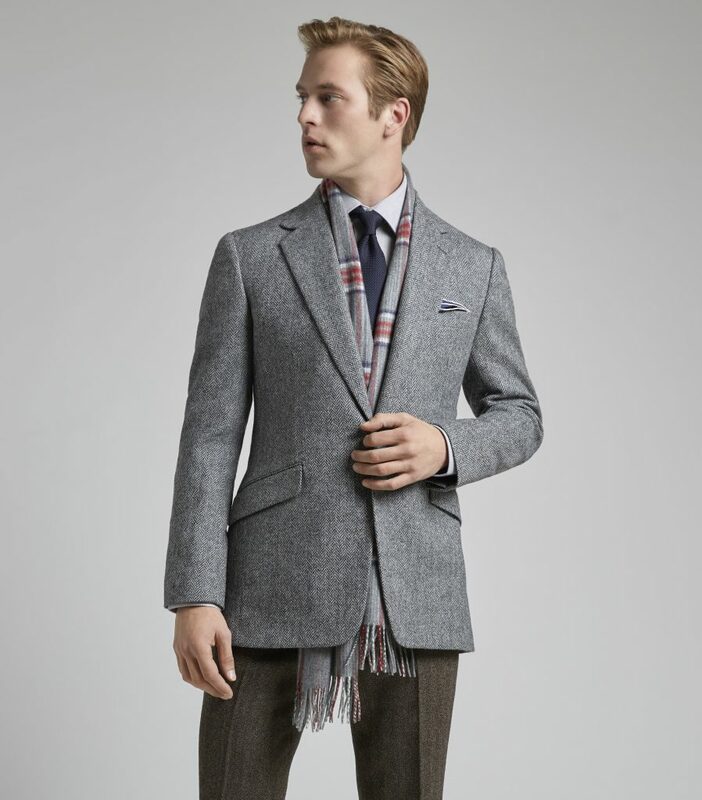 As part of the bespoke tweed experience, the customer is invited to take inspiration from Huntsman’s archives and plethora of checks and yarns, to create a 30-metre bolt of fabric woven at the Islay Woollen Mill. 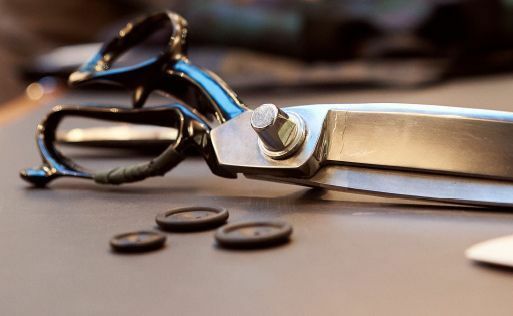 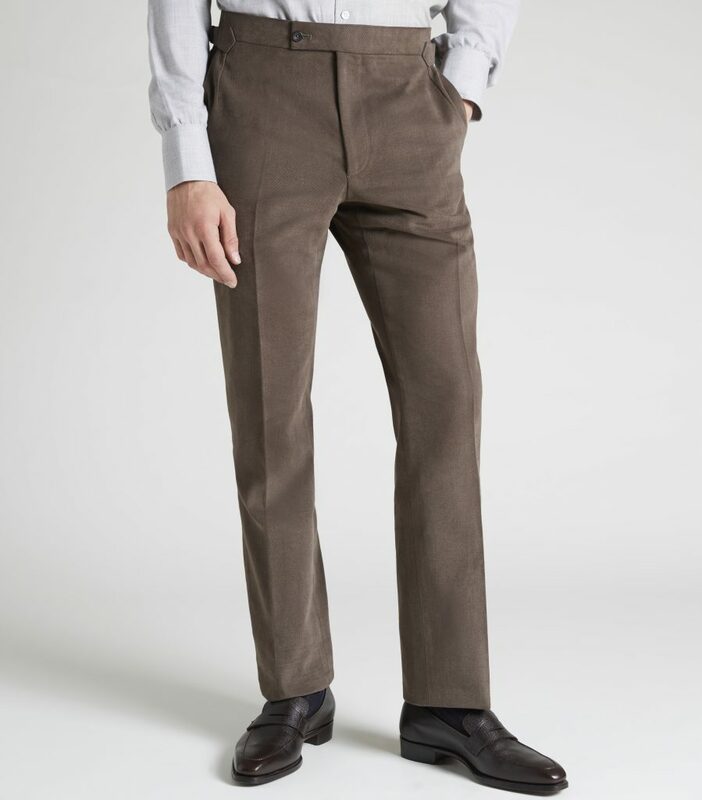 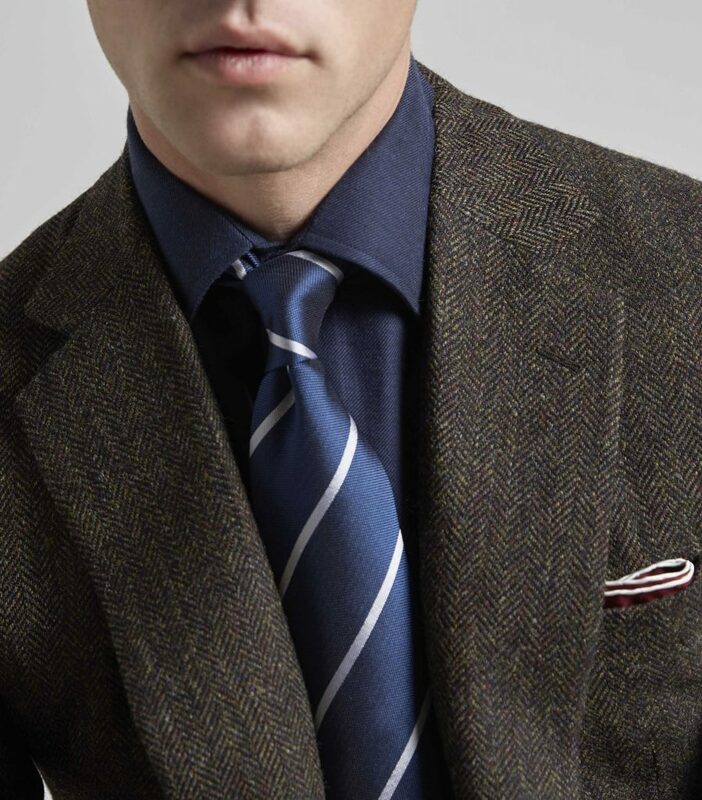 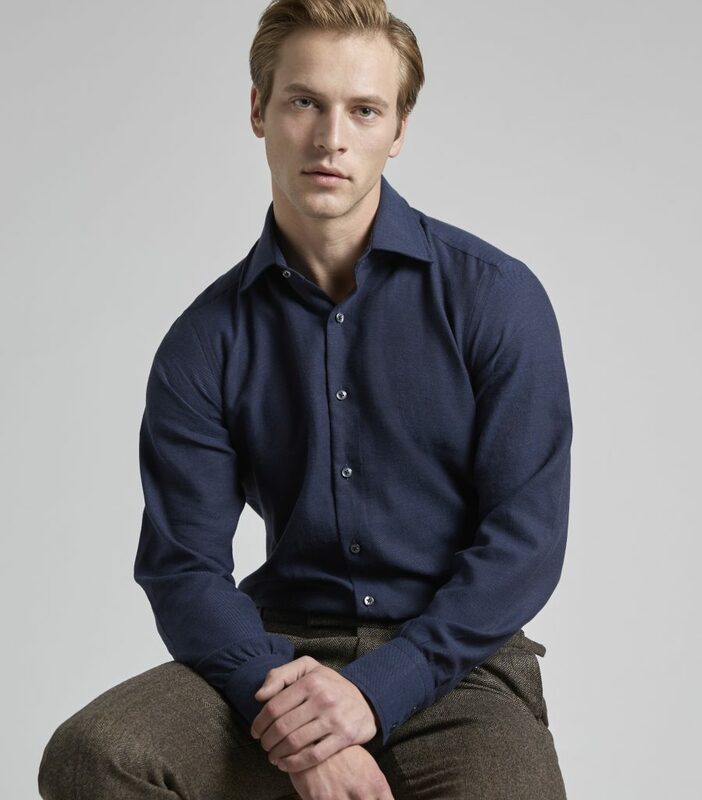 With this, the client can commission bespoke designs entirely unique to them – a true sartorial signature.